Algerian authorities jail Algerian-Belgian citizen over his links with Paris ringleader Abdelhamid Abaaoud. Algerian authorities have jailed a man with dual Algerian and Belgian citizenship over his links with the ringleader of the Paris attacks, Abdelhamid Abaaoud, a court statement quoted by Reuters said on Saturday. The court provided no further details and it was not clear when Mehdaoui was arrested, according to Reuters. Islamist terrorists killed 130 people at a sports stadium, a string of cafes and a concert hall in and near Paris on November 13. 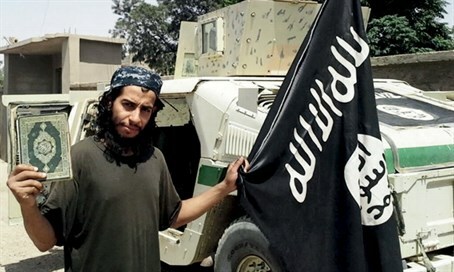 Abaaoud died on November 18, five days after the attack, in a shootout with police in St. Denis north of Paris at an apartment where he had been staying. He had planned attacks on Jewish targets in France as well. Meanwhile, one of the prime suspects of involvement in the Paris attacks, Salah Abdeslam, remains on the run. It has been speculated that Abdeslam fled from Belgium to Germany. There have also been reports indicating he had traveled to Hungary before the attacks in Paris, where he "recruited a team" from unregistered migrants passing through.